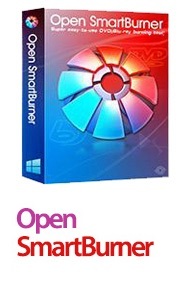 Open SmartBurner is a powerful DVD/Blu-ray burn application newly developed by OpenCloner Inc. In addition to video files, it can also burn data files (.doc, .txt, .jpg, .ppt, etc) and audio files to a DVD/Blu-ray disc. Open SmartBurner can also be regarded as a video converter because it will first convert video files with various formats to DVD/Blu-ray movie files and then burn them to a DVD/Blu-ray disc for convenient playback on a standalone player. Besides, you can choose to save the data/video files as an ISO file on the hard disk so that it can be burnt easily anytime. The intuitive interfaces show you various burn modes very clearly, which will make the DVD/Blu-ray burn super easy. - Select one from four customized burn modes. 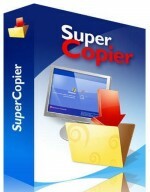 - Burns a variety of data files (.doc, .txt, .jpg, .ppt, etc) to a blank DVD/Blu-ray disc. - Burns video files with various formats such as AVI, MP4, FLV, MPG, MKV and MOV to a DVD/Blu-ray video disc. - Converts various video formats to DVD/Blu-ray movie files before burning. - Saves data/video files as an ISO file on the hard disk for burning in the future. - Supports DVD-5, DVD-9, BD-25 and BD-50 target discs. - Shows the title, size, modification time and source path of the data/video files. - Set the DVD format as NTSC or PAL for DVD video burn. 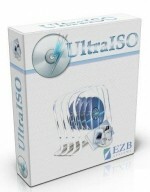 - Set the video encoder, video resolution, bitrate and audio encoder for Blu-ray video burn. - Saves the added file(s) as a .cpj file temporarily for future editing when there is much free disc space left. - Select to verify data after the burn is finished to ensure a successful DVD/Blu-ray burn.